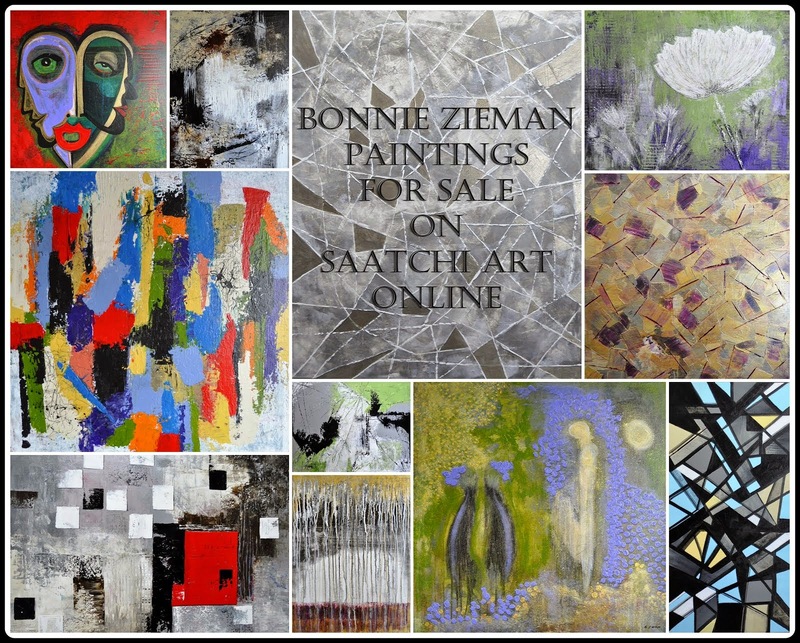 Just popping in with a reminder that the doors of our virtual photo-art gallery (aka Photo Art Friday) open tomorrow (Thursday) at 4:00 p.m. EST. You can post any piece of photo art that you want to share with us, or you can post one using the optional theme of "exits" and/or "entrances". Can't wait to see your interpretations of this theme! This huge poinsettia sits on a table in my kitchen. I'm glad, now that the Christmas season is over, that we chose one with yellow and orange leaves instead of the traditional red. It seems to like its spot in the kitchen and will probably be with us for quite a while! I edited this photo with application of two different canvas-like textures. 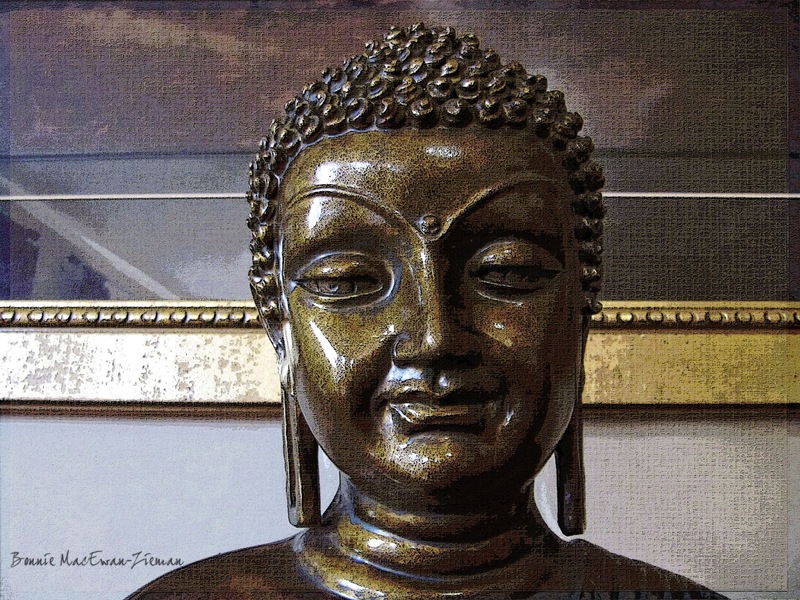 This buddha sits on a side table in our dining room - projecting a constant reminder of peace and mindfulness into the space. Treated this photograph with canvas-like textures too. 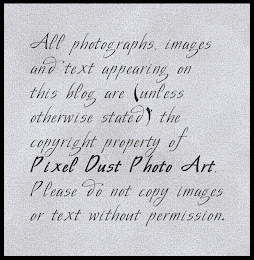 I so appreciated the enthusiasm with which you received and used the free texture, pdpa Brown Rice Paper texture. Loved the many ways you found to apply it to and enhance your photographs in last week's Photo Art Friday. A couple of you asked if I had more canvas-like textures on the way. Well ... of course!!! In fact I've put together a new set of twelve of these canvas(y) textures and used some of them to produce the pieces you see above. 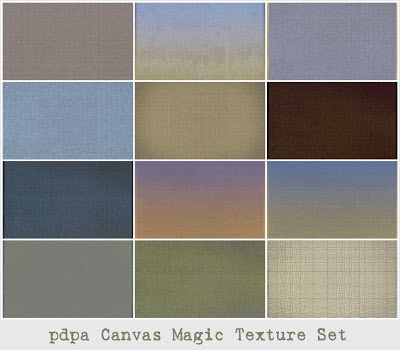 Each of the textures in this new set gives a real canvas feel to your photograph or photo art. 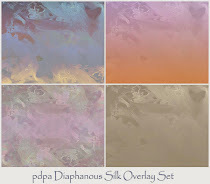 It's just me, but I think they are exceptional and a must for your texture library. You can find them here. 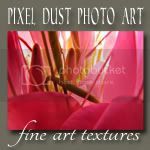 Subscribers to Photo Art Resource Cache will find a new texture behind Textures 2 tab and an example recipe of how you can use a texture to make art with text, posted today. A new texture set was posted for you on the 13th and will be uploading another new set on Sunday. Keep checking in at the site - new resources are posted for you frequently! Have a great Wednesday everyone, and I look forward to commiserating with you over the next three days at PAF! 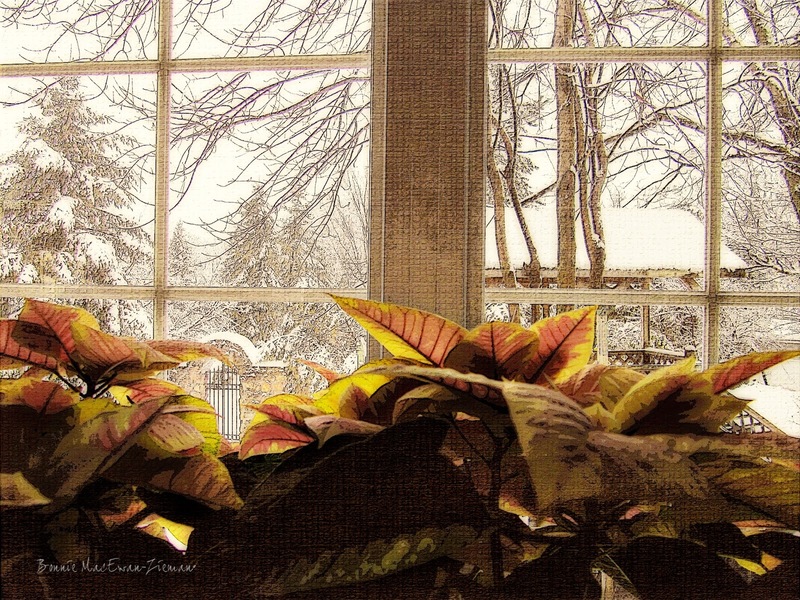 Lovely shot and processing of these poinsettas on your table. Love seeing the snowy background behind it too. Really like how this canvas texture looks too. See you tomorrow! Beautiful images. I tried to post my work with the rice paper texture last week, but it would never accept my link. Love the poinsettia shot!! They are beautiful and you captured them beautifully! Lovely processing! I've never seen a poinsettia with yellow/orange leaves - it's very pretty!